InfoSewer is developed to take full advantage of the capabilities of GIS and relational database management systems (RDBMS) technology. 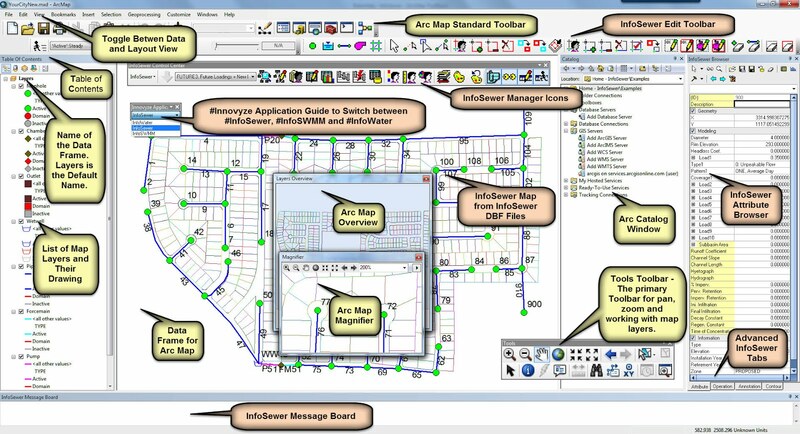 By embedding GIS mapping functions and utilizing proven and efficient tools for information exchange and graphical data entry, maintenance and display, InfoSewer provides the user with an efficient easy-to-use vehicle for network model construction and management. 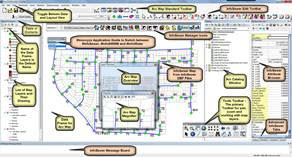 Network schematic - The network schematic provides a critical role as a model input, providing information on the connectivity, length, and shape of network components and it also plays an important role in the display and analysis of model results, acting as the vehicle for results presentation. Modeling attributes - Information associated with network elements act as the primary input to the hydraulic network simulator. This information includes a set of required attributes describing critical components of system operations and a set of user-defined attributes for integration with other infrastructure management applications. InfoSewer stores the network schematic and modeling attributes in GIS Shapefile and DBF format. 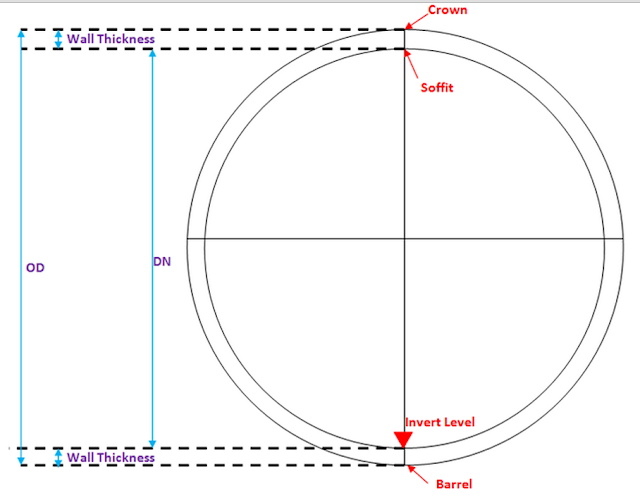 It provides the following tools to build and maintain sewer collection system models.